Our test papers are impregnated with one or more indicators that show a distinctive color when exposed to a specific condition. They allow a quicker and less expensive test in applications where the accuracy of an electronic pH meter is not required. 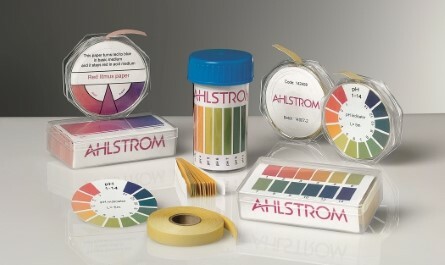 Universal pH indicator papers are available in different ranges of pH for an appropriate level of accuracy in each use case. Additional test papers for qualitative determination are also available for industrial applications and educational purposes.